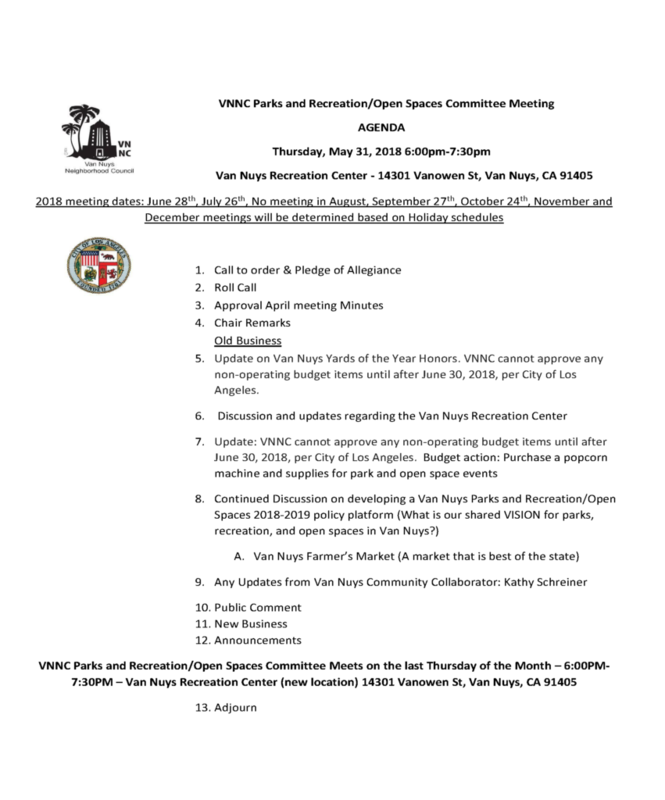 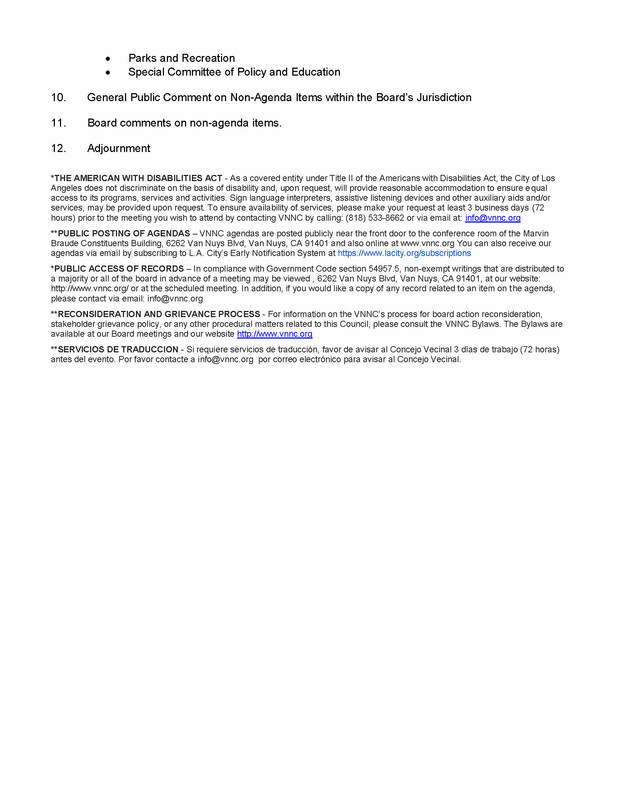 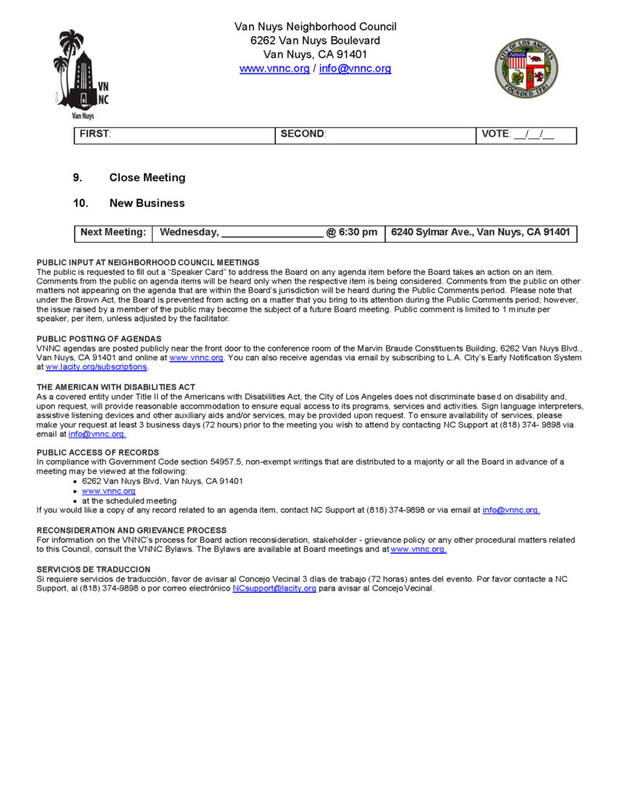 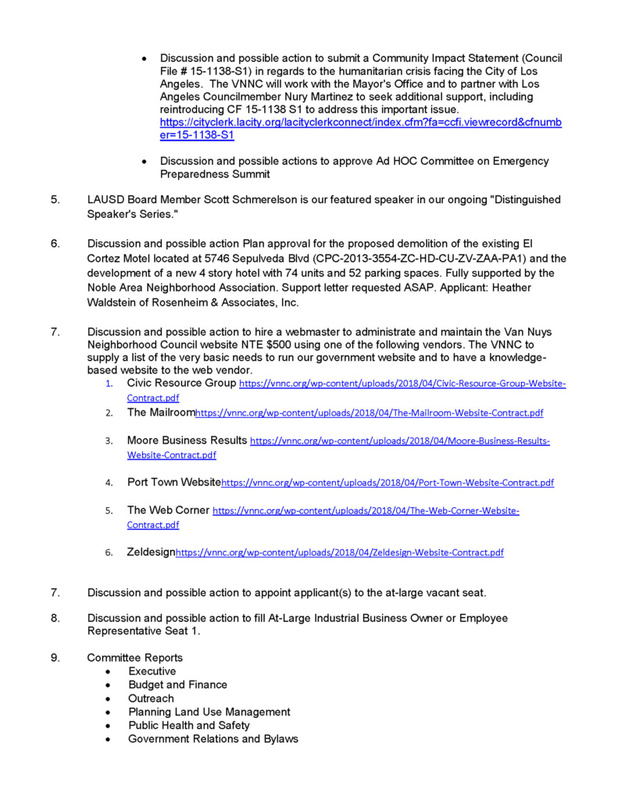 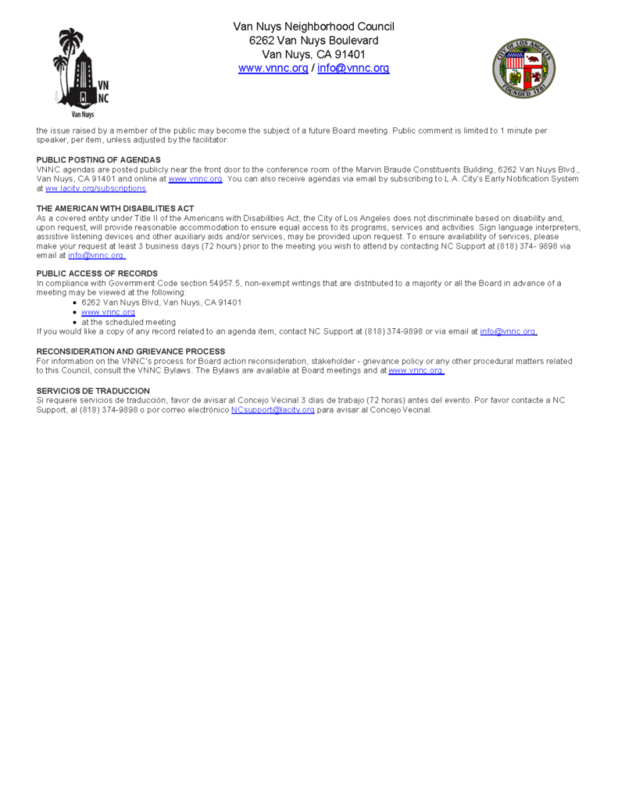 This entry was posted in Van Nuys Neighborhood Council (VNNC) on May 21, 2018 by vnncadmin. 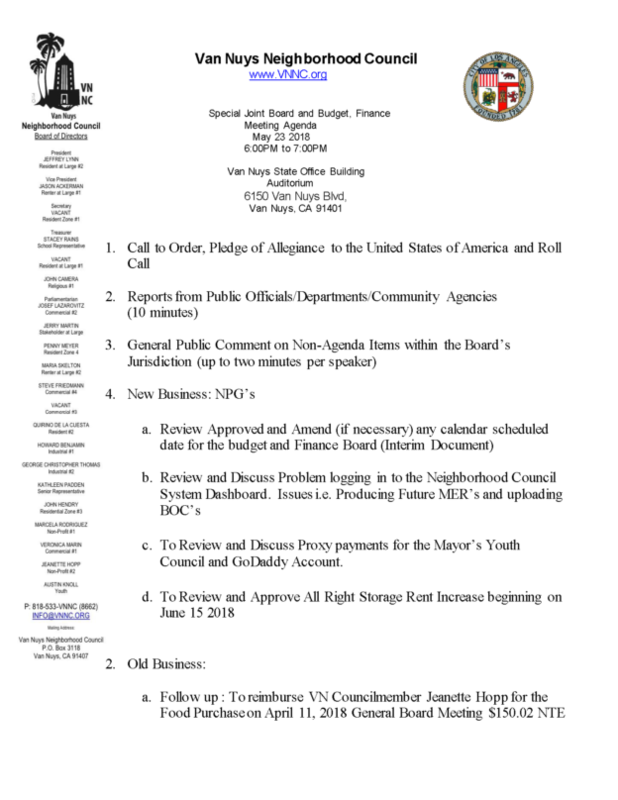 Join us for the Budget & Finance Committee Meeting where we will discuss the Taste of Van Nuys and other funding issues. 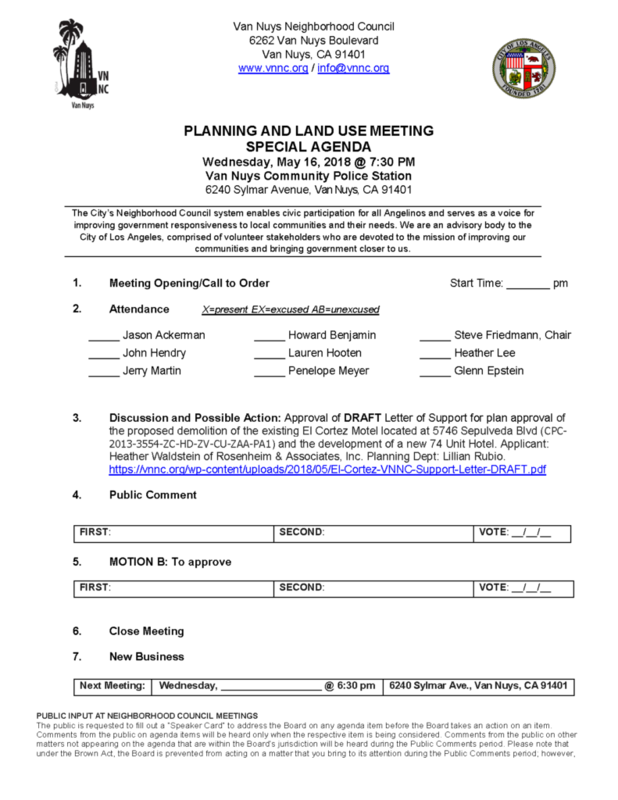 This entry was posted in VNNC Planning and Land Use Management (PLUM) Committee on May 14, 2018 by vnncadmin. 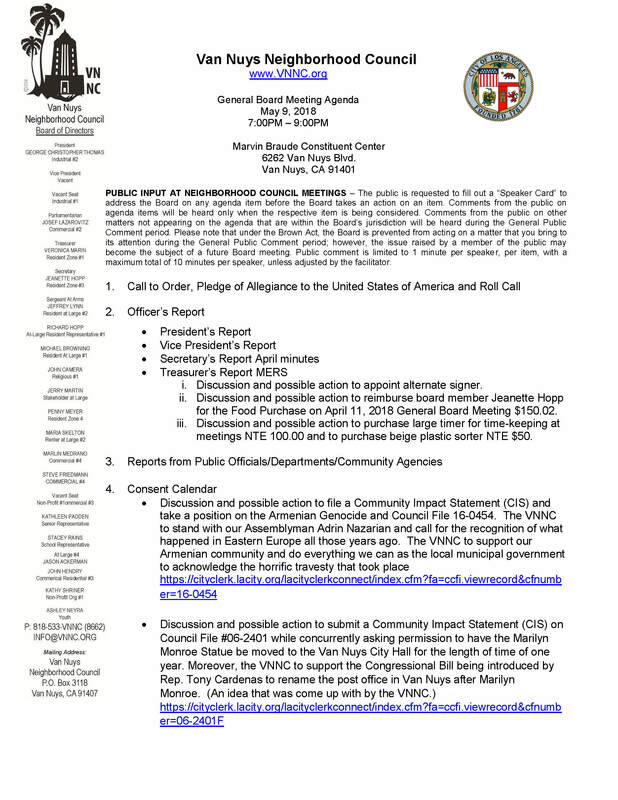 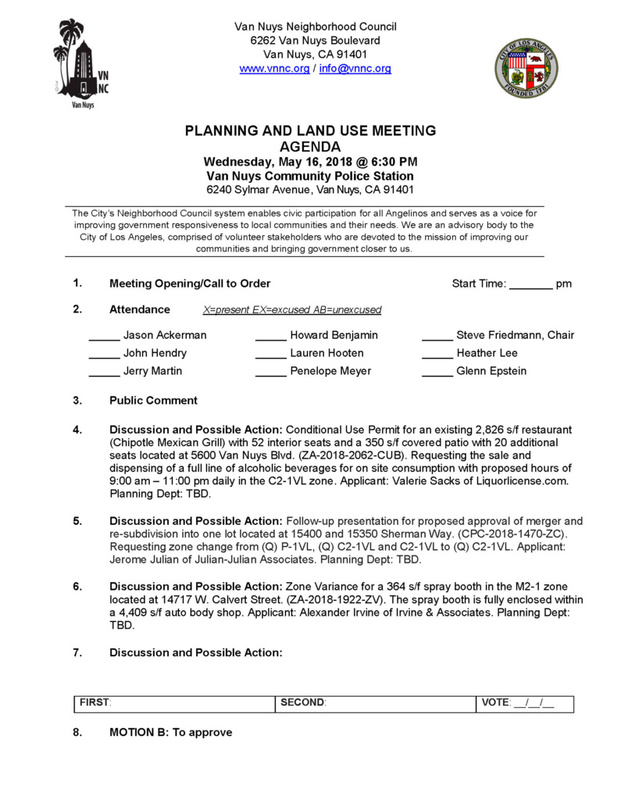 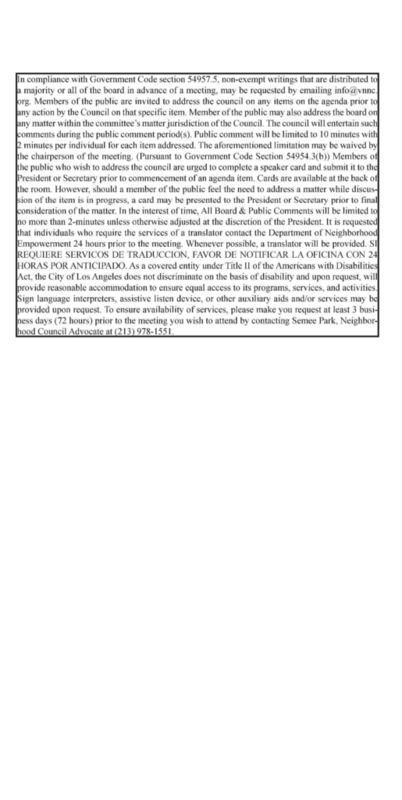 This entry was posted in Van Nuys Neighborhood Council (VNNC) on May 4, 2018 by vnncadmin.